An Interview with Cosmetic and Reconstructive Plastic Surgeon, Ramsey J. Choucair, M.D. Interviewer: Who are the best candidates for Cosmetic and Plastic Surgery? Dr. Choucair: An ideal excellent Cosmetic and Plastic Surgery candidate is a person who desires to make a change in their physical appearance and is motivated internally (i.e. not by an external reason such as obtaining a raise, keeping a marriage together, etc.) These individuals are self-motivated due to the fact that they feel it could help increase their own self-esteem. Medically speaking, a good candidate would be one who is in generally good health and not compromised by a possible disease condition, such as diabetes. Additionally, the candidate is not a cardiac patient who is required to take blood thinners. This type of situation most assuredly would inhibit the healing process. A person in good health, motivated for the “right” reasons is an excellent cosmetic and plastic surgery candidate. Interviewer: What do you recommend as the best strategy for youth preservation or age maintenance? And is it ever too late to try and take 5 to 10 years off of your appearance with a face lift and other cosmetically enhancing procedures? Dr. Choucair: For people who would like to stave off the aging process, there is a growing array of minor procedures and new technologies that allow for early adjustments to the aging process. There has been an explosion of change in this arena with the introduction of the “injectables” such as Botox®, Restylane®, and fat transfer as well as new laser treatments for the skin where non-ablative lasers are used to encourage cellular regeneration. Additionally, doctor prescribed skin care products are an excellent way to renew the skin by sloughing dead skin cells as well as evening out skin tone, removing discolorations, etc. There are several cosmetic and surgery procedures that may be done prior to considering a full facelift. They include surgery of the nose, eyelid lift, cheek implants, and “short scar” facelifts where there is less trauma and little downtime. It is important to ask your plastic surgeon what the right approach may be for you, because he/she will take into consideration your age, bone structure, skin tone, general health and what kind of results you desire. And, is it ever too late? Not anymore with the latest technologies of skin resurfacing, “filling the face” as well as less invasive ways to perform plastic surgery procedures, it is safe to say that it is never too late. Interviewer: What do you think about the new “lunch time” face lifts? Is there an upside? Downside? Dr. Choucair: These newer, “fast” face lifts are basically done by a technique called “threading,” where an actual wire thread, with barbs attached, is thread under the skin at the hair line, attaching by small barbs that grab the tissue from the inside and then the skin is pulled taut by these threads and secured in place. This type of face-lift is less expensive and takes less time, however, results are typically not as optimal as a more traditional “lift.” My honest opinion on these types of procedures are you get what you put into them…so taking into consideration of what type of results you desire, is it worth it to you, to take less down time for less money for a lunch time face lift which may or may not make a huge difference in your physical appearance? Interviewer: Let’s talk about Botox®, Restalayne®, and the other “injectables.” Can you prolong the length of time of the “need” to have a facelift by using these new antiwrinkle alternatives? Dr. Choucair: The popularity of using Botox® Injections as well as injectables such as Restylane®, fat, and others has grown by leaps and bounds. The trend in cosmetic and plastic surgery has moved away from the traditional face lifts where the skin is pulled taut, without “filling in” the areas where youthful fat has diminished. If you notice in a young child or young adult, their faces reflect youth with dewy skin, full face, fleshy mouths with little or no lines and wrinkles. To regain a more youthful appearance, cosmetic and plastic surgeons have recognized how important it is to not just pull the skin tight but to also fill in the hollows, lines, depressions, etc with substances such as Restalayne® or fat, giving the face a fuller, more youthful appearance. Restylane® and fat injections are also used to plump up lips that are thin or that have become thinner with age. These injectables assist in making the face more youthful looking. Botox® Injections work in another way…they are simply injected into areas where the muscles contract causing lines and wrinkles. Once the injection of the Botox® “settles in,” sometimes taking up to ten days for it to fully take effect, the muscles are paralyzed, preventing the movement that was causing deep furrows, wrinkles around the mouth as well as the eyes. Once this occurs, wrinkles become much less noticeable. Cosmetic Plastic Surgeons may use injectables such as Restylane® and Botox® to delay executing a face-lift, in some cases for up to 5 to 7 years. Then, once youth rejuvenation surgery is recommended i.e. a brow lift, facelift, etc, these injectables are often used to enhance the final results of a cosmetic facial plastic surgery procedure. Interviewer: Body Contouring, if done properly, can have wonderful results. What methods do you use for optimal results? Dr. Choucair: Body contouring surgery or liposuction surgery is considered to be one of the safest and most effective cosmetic and plastic surgery procedures available today. However, I must mention that it is extremely important that you choose a surgeon who is board certified and performs the procedure in an appropriate facility. Liposuction surgery was popularized in Europe, in 1974. As compared to many advances in technology in other areas of plastic surgery, a few have been made in the arena of liposuction. In the 1980’s U.S doctors introduced the use of tumescent fluids along with liposuction surgery to decreases risks as well as allow for greater ease and access to fatty tissue. In the 1990’s the use of ultrasound, which uses sound vibration to liquefy fat, has been found to be highly effective in preparing fatty deposits for extraction. And in 2000, power liposuction made fat removal even easier. The actual liposuction procedure is typically done by using a small wand or cannula to suction fat. Typically, I use a newer, smaller diameter cannula rather than the larger, original tool developed for liposuction surgery. A smaller diameter cannula may take a bit longer to use to extract fat and “sculpt” the body, however there is less trauma to tissues, resulting in less bruising and discomfort post surgery which is extremely important for optimal healing. It really is gratifying to see fantastic results, removing fatty tissue, which may have been close to impossible for an individual to get rid of even with a balanced diet and exercise regime. Liposuction works because your body contains a finite number of fat cells and we are simply removing them. And this can be a real blessing, especially if Mother Nature, with or without your “help” decided to bestow you with a bit more than you would like. Interviewer: How much of your business is dedicated to assisting individuals who have had less than optimal results from previous cosmetic and plastic surgery procedures? Dr. Choucair: Well, let’s just say that my practice often evaluates patients who have had previous surgery they are not happy with. It really does take a leap of faith in trusting a new surgeon after a patient has had suboptimal results with another plastic surgeon. We strongly encourage patients who have had unfavorable results to consult with us, to give them options to restore their confidence and appearance. My background in reconstructive surgery is of great benefit to me in situations such as these due to the fact that my experience and preparation in specialty training is second to none. When patients come to me to help repair what they feel is less than perfect, they are trusting in my surgical and aesthetic judgment, seeking a solution to their problem. My work is highly gratifying in these situations, where I am able to come up with a creative and sophisticated approach to surgical restoration and follow through with an optimal outcome. Interviewer: What is coming up on the horizon in the field of cosmetic and plastic surgery? Are there any new procedures or products to watch out for? 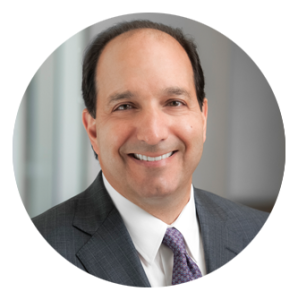 Dr. Choucair: For skin resurfacing and rejuvenation, the new non-invasive laser technologies will continue, such as the use of the Fraxel Laser, yet, the procedures are still cost prohibitive for many to receive. In the future, look for refinement of these procedures to continue as well as them to become more cost accessible. Also, technology is constantly being developed for patients to have less “down time” post surgery. Basically, it just keeps getting better and better. Interviewer: You see many plastic surgeons’ offices promoting patient education with “patient educators” on staff. How important is this aspect to patients? Dr. Choucair: Patient Education benefits all parties involved. If a patient is armed with knowledge of what questions to ask as well as what the answers should be, they become more empowered to make the right choice as to what cosmetic and plastic surgeon they choose. My “Twenty Questions You Should Always Ask Your Cosmetic and Plastic Surgeon” is something we developed to ensure our patients become more educated before they have their procedure. These questions cover all of the bases, including the most important question regarding if the surgeon you are considering is board-certified or not. Also, when a new patient comes to our office, I meet with them personally, speaking to them at length about what procedures I recommend as well as educating them after they decide to move forward. It is my priority to take great care of my patients and to gain their trust and as well as my peers in the medical community. So, yes, patient education is a very important part of the process…the good news with my practice is that I personally become your instructor.